Abilia gives people with special needs the power to become independent and take control of their daily lives. We believe that everyone should have the same opportunities to participate in society on their terms, and are passionate about enabling people access to a more fulfilling life. Acognia produces ActiVise and AVP Software for learners that benefit from personalised, repetitive and interactive learning. The question and answer or sequencing frameworks can be populated with text or pictures for any subject or ability from three years to adult learners; ideal for leaners with autism at home or school. Acorn has unmatched reach, capacity and expertise. Acorn Care and Education Group is the largest combined children’s services group in the UK. We specialise in working with children and young people who have complex needs. Their needs may be behavioural, emotional, social, learning, physical or a combination. We build care around the unique situation and individual circumstances of each child by providing frontline fostering, educational and care services. Act for Autism is a social enterprise, not for profit organisation set up by two passionate professionals and parents who have worked and lived with autistic individuals for over 20 years. Our joint experience as counsellors, actors, drama teachers, presenters and mothers gives us a breadth of experience which we use to help teachers, parents and other professionals. The Autism Education Trust (AET) is a not for profit programme led by two national autism charities – the National Autistic Society and Ambitious about Autism. Established and supported by the Department for Education, the AET promotes and supports partnerships throughout the education system to improve educational access, experience and outcomes for children and young people with autism. Our Autism Progress tool can be used to support individuals on the autism spectrum. Find out about our assessment frameworks developed in response to the Rochford Review and how our evidence management system Evisense makes it easy to capture and securely share photo/video evidence of learning, helping to increase parental engagement. Our individualised learning environment offers a unique approach to students that are deaf/hearing impaired and have specific communication and language needs. We cater for all abilities and learning styles, offering pathways to suit every ambition. Pathways include life, work and living, and encompass a choice of day or residential provision. Estate Planning Solutions offer you a specialist will-writing and estate planning service, tailored to meet your specific requirements and to achieve your individual objectives. We pride ourselves in taking a truly customer-orientated approach and offer you a wide range of estate planning services focussing on solutions rather than off-the-shelf products. Home From Home Care provides a range of specialist needs-led services for adults (17-64) with learning disabilities and complex support needs including Autism, Epilepsy, Severe Learning Disabilities, Profound and Multiple Learning Disabilities, Sensory Impairment and associated Health & Mental Health issues. Our approach comes from having been created by parents. Combining the family perspective with experienced professionals from social care, a dynamic service has evolved that strives to offer individuals with a learning disability better outcomes and wider horizons. Inclusive Technology is a leading supplier of software and hardware for people with special needs. We dedicate ourselves to providing pioneering assistive technology to our customers worldwide. From ground breaking eye gaze, virtual reality and communication technology through to switch access, mounting solutions and environmental control, we provide a full range of innovative products to enable our customers to communicate, learn and play. We support teachers and educators to achieve a wide range of effective learning outcomes in their use of film. Our programme includes a network of extra-curricular film clubs, resources for use in clubs and in the classroom, training opportunities, a cinema-based film festival and our annual Awards. It has been designed to meet the needs of all four nations in the UK. At Jumping Clay we pride ourselves in providing kids workshops and activities for all abilities. We understand the importance of finding the right balance between assistance and independence to increase the sense of achievement and building your self-esteem as we go. Visit the Jumping Clay Workshops for your free guided sessions. Kisimul Group Ltd and Cruckton Hall (boys only) are leading independent residential special schools (Lincolnshire and Surrey) offering a homely and safe environment for children and adults who have severe learning difficulties, challenging behaviour, autism, Asperger’s and associated co-morbid presentations and global developmental delay. 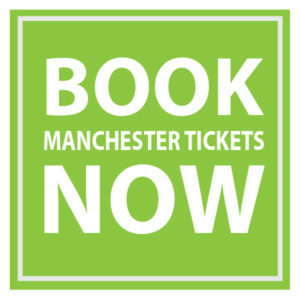 Manchester Occupational Therapy Services are a private Occupational Therapy practice for children based in Manchester. We provide bespoke Occupational Therapy sensory assessments and treatment packages both on an individual and school contract basis . We can provide these services in a variety of settings to suit our client’s needs. Manchester Speech and Language are an independent Speech and Language practice based in Manchester. We provide indepth language and communication assessments and therapy packages to suit individual needs. We provide these services in a school or home setting to suit our clients needs. Autisan Fudge is churned , packaged and produced by people with autism. Autisan fudge is part of a series of social enterprises managed by The NAS to give people with autism the opportunity to learn employment based skills. Founded in 1962, we are the UK’s leading charity for autistic people and their families. Our goal is to help transform lives, change attitudes and create a society that works for autistic people. Please join us or get involved or make a donation today. You’ll be helping some of the 700,000 autistic adults and children in the UK. Piota designs high quality, affordable mobile apps to connect schools, parents and pupils. This enables better communications and engagement with parents, cost saving opportunities for schools, a new way to sample and evidence parental and student opinion, and projects a progressive image for your school or group. It’s quick and simple to use. The Head can send news items to everyone. Teachers can send messages to specific year groups or classes. The school office can use it to send and process school trip forms. Parents can use it as a convenient reference source when out and about. Our aim at Rainbow Fostering is to enable young people to thrive and achieve their goals. These are children seeking a loving home who have often not had the best start in life. Their behaviour can be challenging, but providing them with support and stability can enable them to flourish. To achieve this, we commit to providing our carers with outstanding support and training. Providing personalised programmes for over 25 years, Ruskin Mill Trust [RMT] is a diverse charitable organisation which operates a national network of quality services including education, care, training, advice and homes for people with complex learning and behavioural difficulties, from 7 years old to mature adults. At Safespaces we supply custom-made safe rooms and sleep areas for use at home, in schools, and for respite care or holidays. Safespaces equipment is designed for adults and children who may be unsafe in an ordinary room or bed. Typically we supply products for people with special, sometimes very complex needs including autism, epilepsy and challenging behaviours. SAS offers easy to apply brain training programmes to improve sensory processing and speech development. Each affordable listening course is personalised around the abilities and needs of the client and can also strengthen attention, understanding, learning and physical & social skills. SAS supports A2ndVoice and other parent support groups. We provide education and short breaks services to children and young people with complex learning and communication needs. Royal School Manchester (for students aged 2 – 19) and Royal College Manchester (for students aged 19 – 25) offer both residential and day places. Our facilities include sensory rooms, embedded therapist support and a swimming pool. SEN Books is a specialist bookshop with books and materials for students, teachers and parents. We have lots of titles on dyslexia, dyspraxia, ADHD, dyscalculia, DCD, Asperger Syndrome and Autism. SEN Legal are a national and highly successful specialist education legal practice with a reputation for helping to obtain special educational provisions for children and young people with special educational needs. With over 20 years’ experience in SEN Law (and a current success rate of 97%), we are able to help you achieve the best possible outcome for your son or daughter within a mainstream, specialist or independent school. We create assistive technology solutions that help people with disabilities do things that everyone else takes for granted. The hardware and software we create is used by people all over the world. It can be split into four main areas: Communication aids; Environment control; Computer control; and Interactive Learning. SpaceKraft develop and manufacture a full range of sensory products that provide genuine solutions for carers and teachers who face the difficult challenges of special needs people. Drawing on the expertise of professionals working in the field, SpaceKraft has created an unrivalled range of sensory products that come with a built-in seal of approval from people like yourself, who have real experience of the demands made on sensory products in a Multi-Sensory Environment. All Saints Hospital is a state of the art purpose built facility with 16 inpatient beds and four one bedroom flats specifically commissioned to meet the needs of Deaf people and individuals with complex communication difficulties. The services offers patient’s rehabilitation in a Low Secure or Open rehabilitation environment within a comprehensive care pathway including individual hospital flats with support to achieve independence. St John’s school for the deaf is a day and boarding school for hearing impaired pupils aged 3 to 19. In 2007 we became a specialist school for sensory and physical impairments. St John’s is an oral school where pupils are taught by specialist teachers of hearing impaired children. There is great emphasis on supporting the development of pupils’ spoken language as well as reading and writing. As the world leader in eye tracking and AAC, Tobii Dynavox provides innovative speech-generating devices, special education and literacy solutions, and alternative computer access methods. Our vision is a world where everyone, regardless of physical or cognitive ability, has a voice of their own, access to education and literacy, and control of everyday technology. At the Together Trust we believe everybody deserves an equal chance in life. There are no exceptions. We provide a wide range of support services including fostering, residential, community and family support. We also provide specialist educational support through our schools and college. Please help to support us as together, we can make a real difference to real lives. Tough Furniture is a specialised manufacturer of furniture designed to address the problems of the challenging areas of the care market and autism provision. We have been designing and manufacturing for these areas for 23 years and, as the name implies, it is quality-built to cope with careless and abusive treatment. TTS is home to innovative, educational resources. Some say our name stands for Terrific Teaching Solutions… others believe Totally Terrific Savings… and those who say Truly Terrific Stuff have been fans for years! The simple fact is they are all true. We spend our lives talking to teachers, advisors, parents, early years professionals and many, many others, whose number one priority is the same as our own – children. The result is exceptional resources that will meet your needs and do what they promise – or your money back! Created in 2008, Vision for Education is a well-established, market-leading teacher supply agency with industry experience and expertise. We recruit and supply teachers and other support staff for primary, secondary and SEND schools and other learning institutions. We are always looking to recruit experienced and newly qualified teachers, teaching assistants (TAs), higher level teaching assistants (HLTAs), cover supervisors and other school support staff. WKS is a day and residential specialist setting for young people with social communication difficulties and associated complex learning difficulties relating. The majority of pupils have a diagnosis within the Autism spectrum and access a range of educational, therapeutic and day services within the single setting. Widgit believes that no matter what your level of reading, you should have fair and equal access to information. Our software is used globally to create symbol-supported materials in print, on-screen and online. The symbol set is designed in collaboration with language and communication experts and contains over 12,000 symbols.